Michael Cuddyer is one of those baseball players that is really easy to love. He always seems genuinely happy to be at the ballpark. He works hard. He does not care which position he is asked to play. He gets that when you make millions a year to play a game invented for kids you really have little to complain about. As a fantasy contributor, Cuddyer has been solid but rarely spectacular. He has spent his entire career until now with the Minnesota Twins. In Minnesota he has typically hit for a decent batting average and 15-20 homeruns. But what may not be obvious is how Target Field has restrained his homerun power. In 2010 Target Field (according to ESPN Park Factors) reduced homeruns by nearly 26 percent. It was not as drastic in 2011 but Target Field still rated as a tough park to hit homeruns. Cuddyer's move to Coors Field should be nothing but good news to Fantasy Owners. Coors Field is still one of the best hitter's park in the sport. Boosting homers by over 35 percent in 2011. The combination of leaving Target Field and playing his home games in Colorado should push Cuddyer's expected homerun projection from the 15-20 range, firmly into the 25-30 homer range. 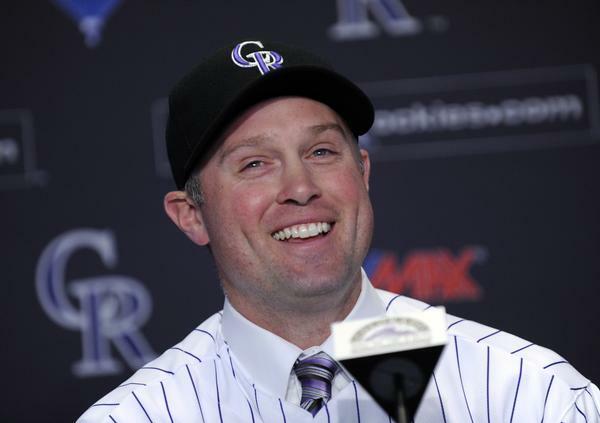 For now Cuddyer is expected to man right field for the Rockies. But the Rockies could easily find themselves needing him at third base. For the moment they will count on Casey Blake at third base. Blake experienced three trips to the disabled list in 2011, primarily due to a bad back. The chance that he will be able to play full time is small. Qualifying at 3B would only boost Cuddyer's value even further. Merry Christmas everyone, I hope Santa was good to you.